This is just a quick note to all our Mr.Host customers about the Heartbleed bug that has been making its ways around the internet and all over the media lately. If you’re not familiar with the Heartbleed bug, there is a really good explanation of the bug on the heartbleed.com website. In short, it’s a software bug in certain versions of encryption software called OpenSSL. This bug only affected a handful of versions of OpenSSL, none of which are currently in-use, or have ever been in-use by Mr.Host. We’ve done an exhaustive verification of all of our servers, network hardware- anything that might have OpenSSL libraries installed, and none have used these versions of this software, now, or in the past. So Mr.Host is not, and has never been affected by this bug. That being said, customers always have the ability to change their passwords via the Mr.Host Customer Control Panel; and Mr.Host recommends customers use strong password of at least 8-16 characters, with a mix of letters, numbers, and symbols. Mr.Host takes customer security seriously. Our signup process, Control Panel, and Web-Mail services are all protected by high level encryption. Our Email servers all support encrypted Email via secure POP3, secure IMAP, and secure SMTP, and our FTP servers all support secure encrypted FTP. We recommend any customers not already using encryption for their Mr.Host Email or FTP, update their settings to enable encryption. 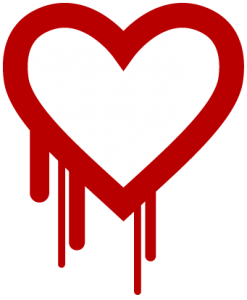 If you have any questions about the Heartbleed bug, or about using encryption with your Mr.Host services, please let us know.